A few weeks ago, I was pointed in the direction of a website that could take a running route file and display it as a 3D image. 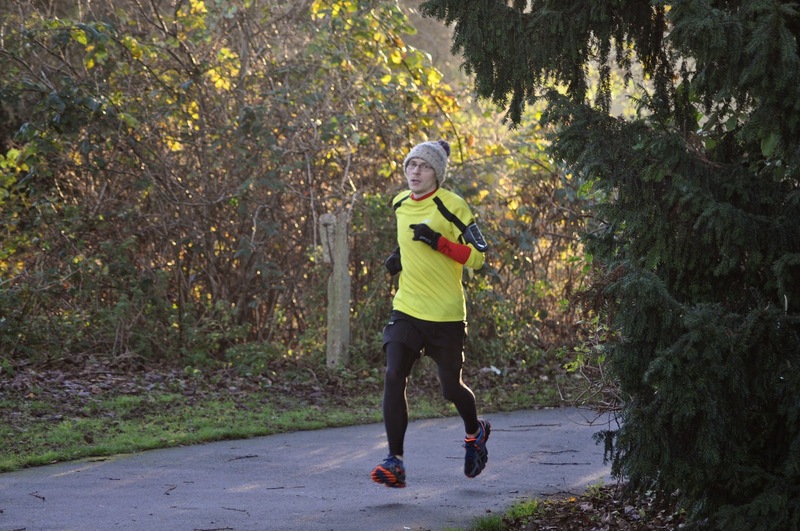 So of course, I threw one of my Dartford parkrun files into it and this is what came out. It's really cool being able to see the course this way. You can do the same with any course by importing one of your Strava files into veloviewer. 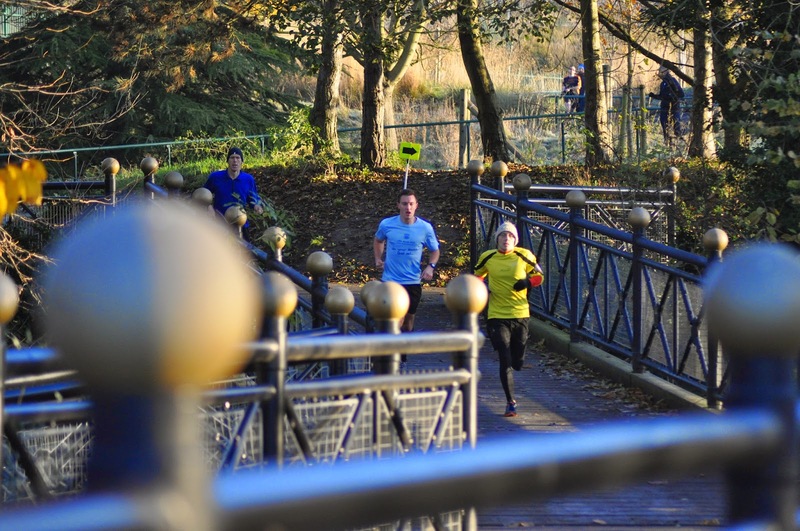 So let's move onto what actually happened at Dartford parkrun event 19. The first and most obvious thing was the significant drop in temperature that lead to a frost. We arrived at the park and began setting up the course. There were a couple of patches of frost on some sections of the paths which if dangerously slippery could force a move to the b course or a cancellation, but after some test running and discussions we decided that they were ok to run on and the event was to go ahead as planned. We stuck with our usual 'A' course and on the stroke of 9am we were sent on our way by our new run-director-in-training, Anoushka. I had a good run and felt comfortable all the way around - my kilometre splits were fairly even and I really enjoyed my run, which was topped off by being the first finisher of the day. I slipped into my usual role of barcode scanner and once all the runners were safely back, got on with ensuring that the signage was all brought back to hq where it all went into the storage box ready for event twenty. I was then finally able to go inside the Dartford Harriers clubhouse and get stuck in to my bunch of bananas and cup of tea!